We endeavour to retail good quality tools at affordable prices. Where stated, pliers and cutters are assembled using box joints, which ensure that the jaws remain parallel at all times, vital when precision is important. Less expensive tools use lap joints whose jaws may not meet exactly. Pair of Micro Crimping pliers for positions for closing and rounding the crimp. Approx 125mm (5"). S.. Pair Easy Hold 10mm (3") Chain Long Nose Pliers. 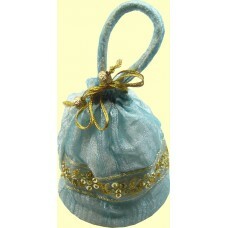 Ergonomic handles fit into snugly into the palm of .. Pair nylon tipped round nosed pliers. Approx 135mm (5¼"). Use to prevent marking or indent..
1 Pair 115mm (4½") nylon tipped flat pliers, forged Stainless Steel box jointed. Use to preve.. Pair of Crimping pliers for positions for closing and rounding the crimp. Approx 135mm (5¼").&n.. Pair Easy Hold 100mm (4") side cutters. Ergonomic handles fit into snugly into the palm of your hand.. Pair 3 Step Round Nose Pliers. Forged box Stainless Steel jointed pliers with threestep round nose i.. Pair replacement nylon tips for SU-381 pliers (square/ parallel jaws).. Pair Split Ring Pliers. Approx 125mm (5"). 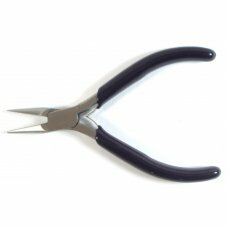 Save your fingernails use a pair of purpose made pliers t..
Memory Wire Cutters for the very very hard memory wire you need special cutters or your wire cutters..